The best way to contact us is always through our online contact form and through email. We know you are a busy bee with every day tasks and don't have time to wait on a phone call, so we are an online based company to speed up the process and better serve you. You may use our hangout number to text us your questions, comments or inquiries at 832-496-1414. When are estimates given and are they really free? Estimates are scheduled on Saturdays only and are always FREE! A repair fee is only changed when a repair is requested and approved in advance and performed during the estimate. A different day can be requested and will need to be approved prior to scheduling depending on availability. What time are estimates scheduled? We schedule our estimates on a first come, first served basis. If we become booked for an estimate date prior to receiving your confirmation email, we will gladly reschedule you for the following available Saturday. When can I schedule a job appointment? To avoid delays, job appointments may be scheduled on the day of the estimate. Your friendly handyman will give you the next available job date and since dates become booked quickly, we recommend you schedule your appointment with him at the time of the estimate. You may also request a job appointment through email or text after you have received an estimate from us. Do you provide emergency repair appointments? Unfortunately we do not provide emergency repairs at this time. Since we are usually scheduled in advance there, no time is usually available. If requested and once approved, we may provide a minor repair on day of estimate if requested in advance. I sent an online estimate request, when will I get a reply? After we receive your online estimate request, a professional representative will carefully review it to see if it's something we do to the best of our capabilities and we will send you an ESTIMATE APPOINTMENT email (if one is available) within 12-48 hours. As our professionals are also out on the field, there may be a small delay in reply, and we thank you for your patience. I received an ESTIMATE APPOINTMENT email, what's next? We will need your confirmation reply with your FULL NAME, ADDRESS and best contact PHONE NUMBER to reach you without delay on the day of the appointment. When we receive your confirmation email with all your information, we will finalize it with our own CONFIRMATION EMAIL to you. I Received a CONFIRMATION email, are we finalized? Yes, After we receive your confirmation information, we will reply with our own Confirmation email. This means we have confirmed your appointment and Gary will see you soon on the appointment date. I will email you a reminder a day prior to the appointment. Who will come to my home to do the estimate? We will include Gary Frith's cell phone on the confirmation email should you need to contact him on the day of the appointment. Please be aware if someone else shows up at your door claiming to come from us and it's not Gary Frith. it will not be us unless we strictly let you know in advance you will be visited by someone else. Absolutely. We are fully insured and we may provide a copy if requested ahead of time. Why should I trust HoustonHandyman.com? Glad you asked! 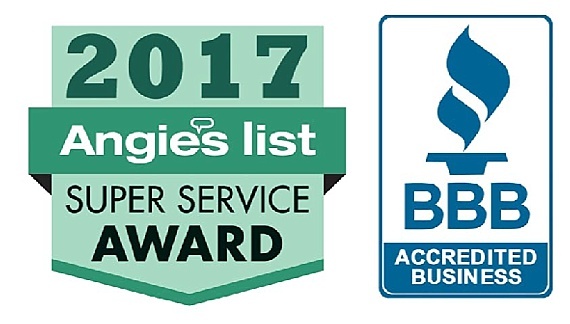 We have been servicing the Houston area for over 13 years, we have earned the Angie's List Super Service Award for 10 years in a row and have a client testimonial list that we are incredibly proud of. More importantly, when you meet our crew you will quickly find out what stands us apart. We are grateful that you consider us and always ready to help. Visit our About Us page to learn more about us. As always, we are available and ready to help just an email or text message away. Give us a try today... we look forward to hearing from you!